2. Prepare the cream cheese layer by whisking together the cream cheese and 2 tablespoons softened butter till well combined (I use a hand whisk). 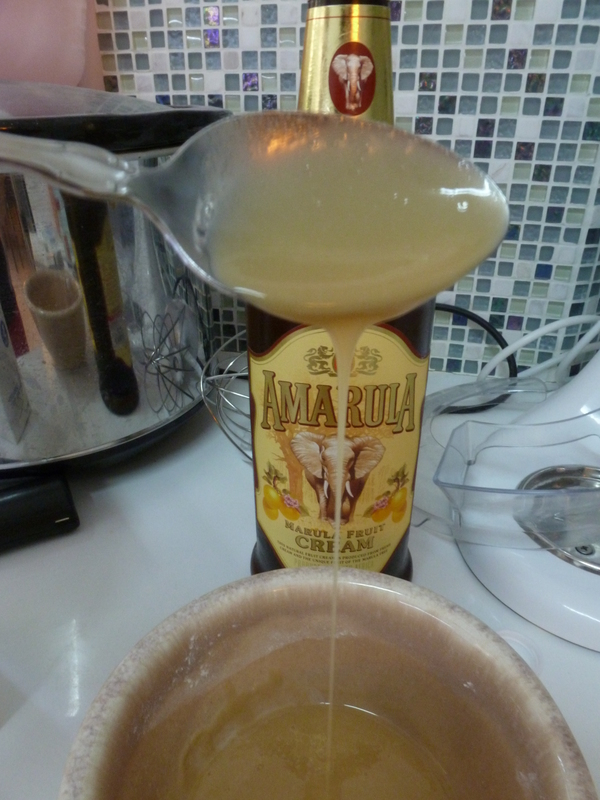 Add the sugar, egg, flour, liqueur and vanilla and mix well till blended. Set aside. 3. For the brownie mixture: In a small saucepan, melt the dark chocolate with the 3 tablespoons of butter while stirring over low heat until smooth. Set aside to cool slightly. In a mixer, beat the eggs and sugar until slightly thickened and add the flour, baking powder and salt, and mix. Add the melted chocolate and vanilla and mix. Stir in chocolate chips. 4. 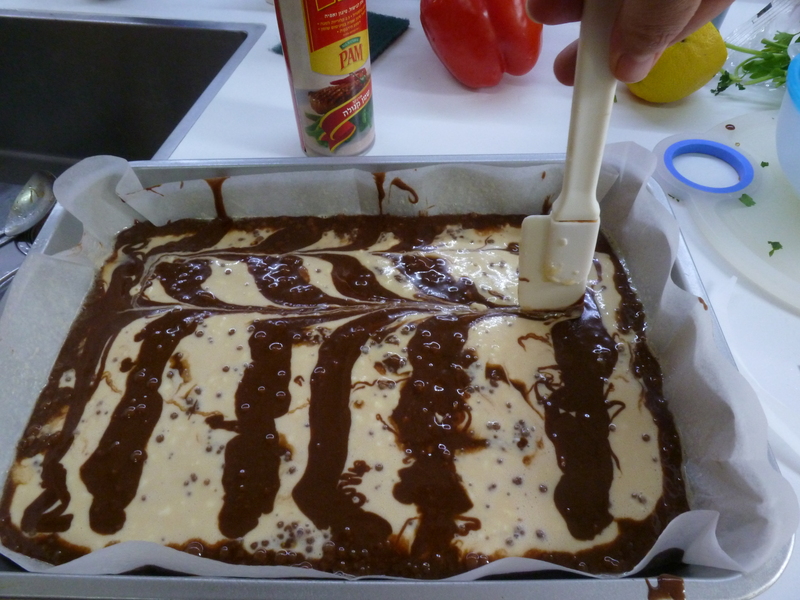 Place a sheet of baking paper in a medium-sized baking pan (around 30×24 cm / 12×9 inches) and spray it with non-stick spray. 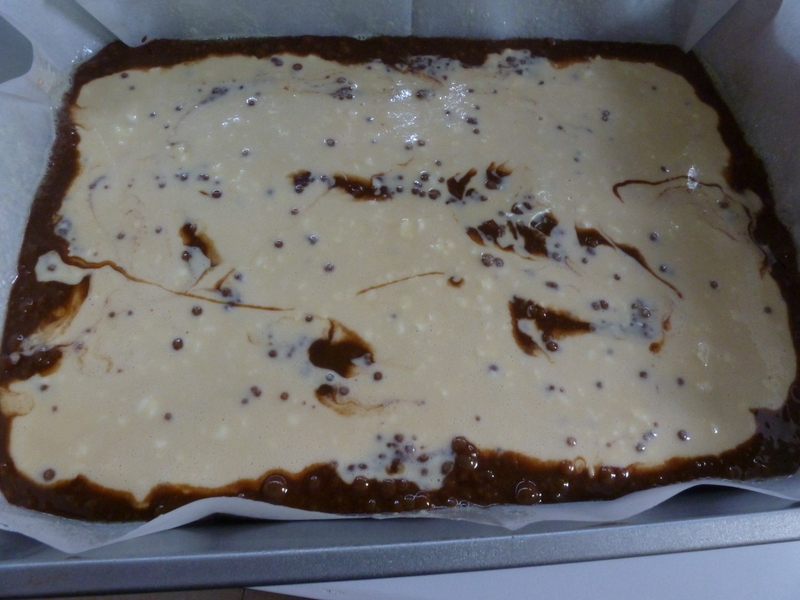 Spread ¾ of the brownie batter in the tray. 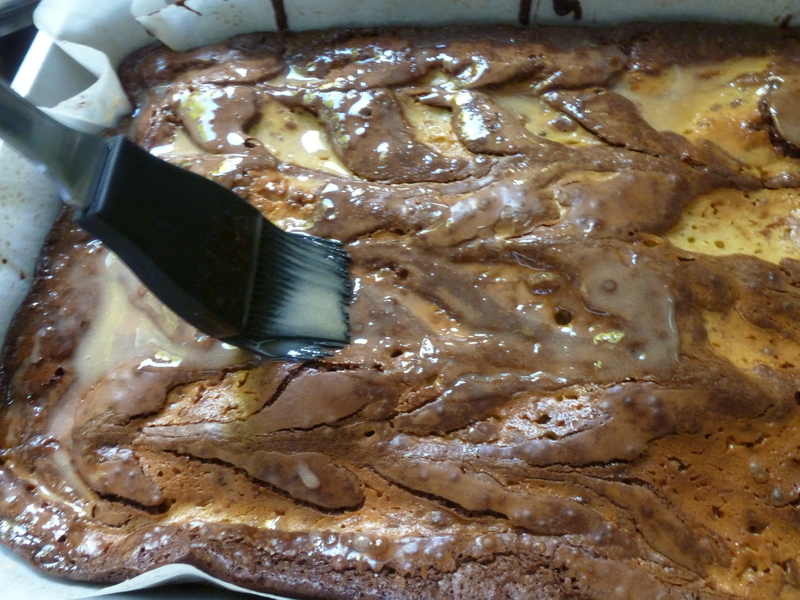 Then spread the cream cheese mixture carefully onto the brownie batter using a rubber spatula, being careful not to mix the cream cheese into the brownie batter and getting it spread as far to the sides of the pan as possible. 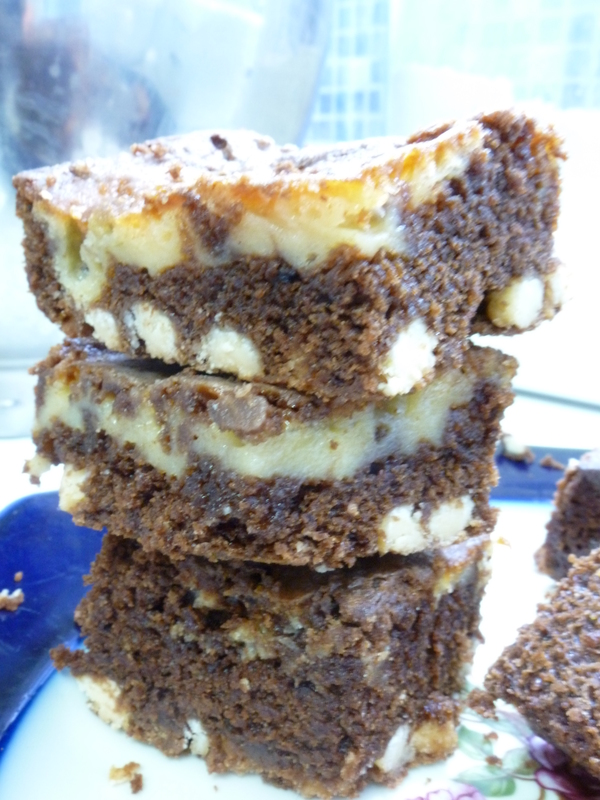 Then drizzle the remaining brownie batter on top of the cream cheese mixture – I try to make parallel lines – and take a knife and run it across the lines to create a marble pattern. 5. Bake for about 30 minutes or until a toothpick comes out clean. 7. 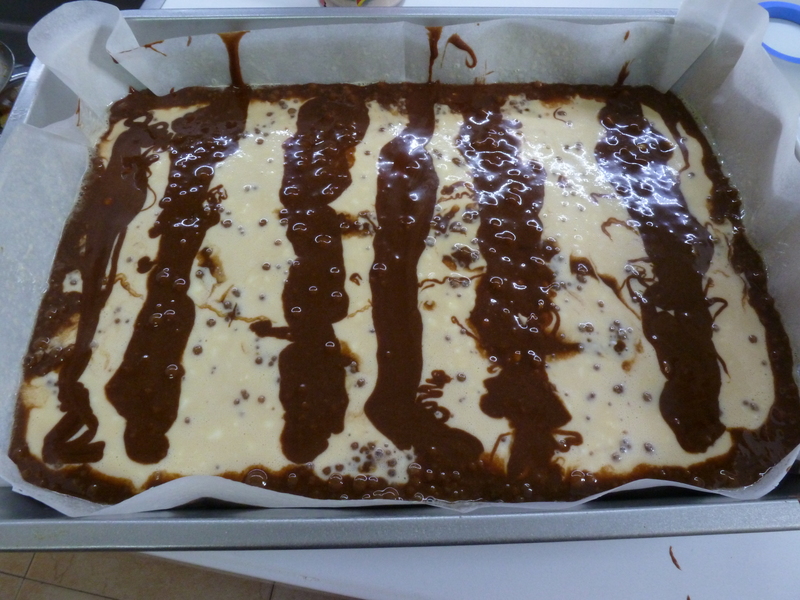 Allow to cool for at least 15 minutes and then cut into squares. I get about 24 squares out of this recipe.